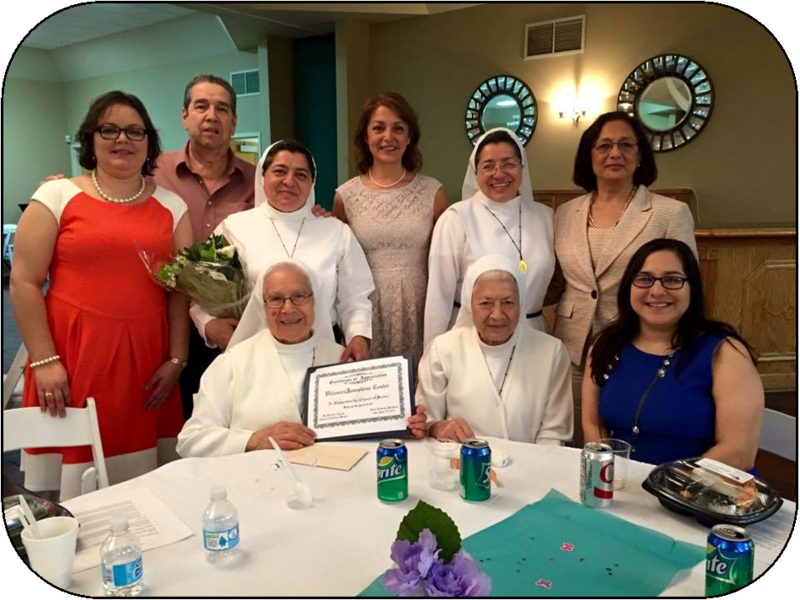 The purpose of the Council of Catholic Women (CCW) is to unite the women of the parish through spiritual, educational and social activities. 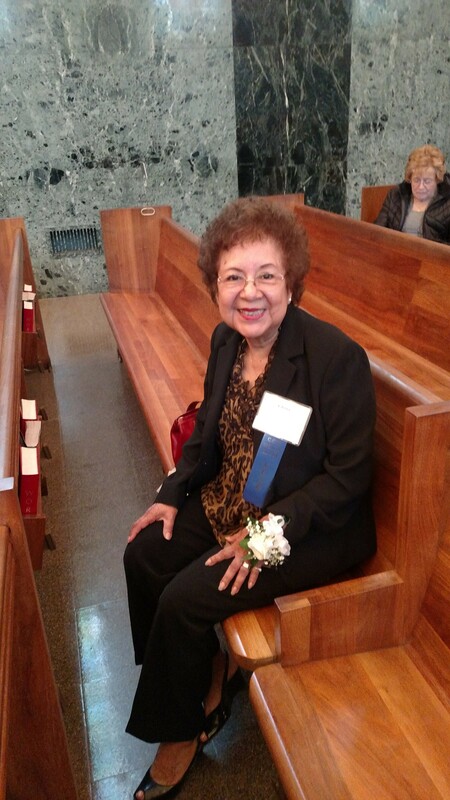 Our services include helping our parish and community through different fundraisers and collections. Also CCW is a "larger than parish" organization. It participates in NCCW (National Council of Catholic Women) and WUCWO (World Union of Catholic Women's Organizations). All women of the parish are welcome at meetings and activities. Please join us for our upcoming events. Feel free to volunteer for one of the OPEN commissions. We would appreciate if if you would share your time and talents with us. To Apply for the Bishop Romeo Blanchette Scholarship for Catholic Schools, PLEASE CLICK HERE!!! Saturday February 17, 2018 CCW meeting at the Family Restaurant at 9:00 a.m.
Vilaseca at their April 2015 Meeting. 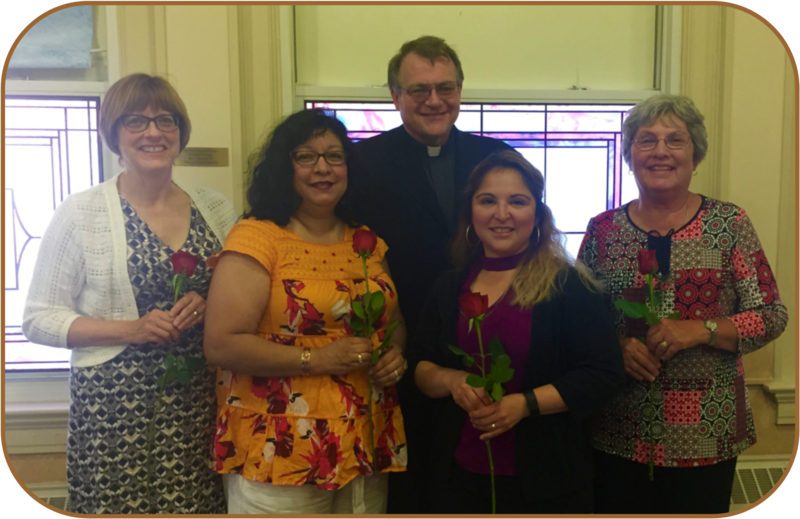 All women of St. Patrick Parish, Joliet, who are 18 years and older are considered members of the CCW. An annual donation of $10 is appreciated. Congratulations to Gloria Nussbaum, recipient of the 2017 St. Patrick's CCW "Woman of the Year." O Mother of Good Counsel, patroness of the National Council of Catholic Women, intercede for us, that we may be wise, courageous, and loving leaders of the Church. Help us, dear mother, to know the mind of Jesus, your son. May the Holy Spirit fill us with reverence for God's creation, and compassion for all God's children. May our labors of love on earth enhance the reign of God and may God's gifts of faith and living hope prepare us for the fullness of the world to come. Amen.